Georgios. A. Georgiou started his career in 1973 as an internal legal adviser with Leptos Estates Ltd, leading developer in Cyprus, with a view to obtain experience in legal work in the developing sector including experience and expertise in drafting contracts of selling / purchasing real estate, construction contracts and conveyancing. In October 1974 Georgios. A. Georgiou created his private law firm in Larnaca. The firm goes on expanding every year. Georgios. 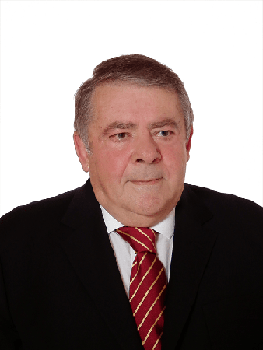 A. Georgiou, with over 43 years of experience in all areas of legal practice, has a reputation as a leading litigation lawyer. He is acknowledged as a master in cross examination and in arguing novel legal points. Georgios. A. Georgiou has substantial contribution in the creation of Cyprus case – law on various legal issues. Georgios. A. Georgiou has successfully defended a series of murder, homicide and manslaughter cases, as well as a lot of other high profile criminal and extradition cases. He also defended successfully many International Freezing Order Cases and multi million civil claims. Georgios. A. Georgiou is acknowledged as a real doyen of the corporate criminal area and a senior figure with a huge amount of experience in litigation, criminal and commercial.